After the UFO sighting, many people claimed that the flying object is actually the TR-3B spacecraft allegedly developed by the United States Air Force. The video of the incident was soon shared by the eyewitness to MUFON (Mutual UFO Network), and they are investigating the authenticity of the footage. "At the time I was upstairs with my camera, I heard a noise, I looked through one of the windows and in the distance, I could see this yellow stationary planet like appearance. 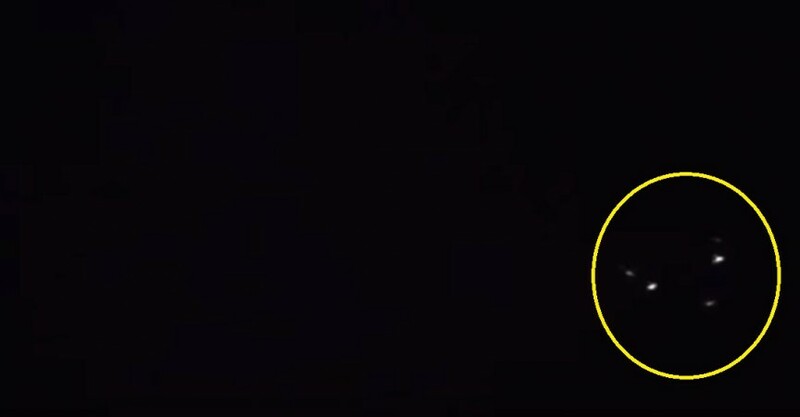 I thought to myself: "there is no way Jupiter is in that sky location at this hour" so I decided to zoom-in with my camera to find out that it was two yellow lights that made one and that is when I realized that I was seen a ufo probably from the back," said the eyewitness. The video uploaded by UFO Mania has now gone viral, and people who watched the clip argue that this sighting is authentic proof of alien existence. As per these alien enthusiasts, extraterrestrial entities from deep space used to visit earth regularly, and most of the times, they used to visit the planet in triangular ships. However, a section of conspiracy theorists has put forward a very different theory. As per these conspiracy theorists, triangular UFOs that appear all around the world since the 1990s are actually TR-3B, the alleged anti-gravity flying vehicle developed by the United States Air Force during the time of Gulf War. They claim that these secretive flying vehicles are made using alien technology, and the United States is using these crafts for spying on other countries. "This is an American military aircraft, one of the 'secret; projects financed from the black budget," commented Blagoja Dimanovski, a YouTube user. "Why do we still film the triangular ones...its done been proven that it's US Army...you wouldn't go out and take a picture of a stupid army plane," commented Hop'n To Be Wheat Not A Tare, another YouTuber. The new UFO sighting was reported just a few days after another flying object was spotted in Nevada. As the sighting happened very near to Area 51, the confidential US military site, many people claimed that secret experiments are going there.